Imagine a bright room filled with new parents. They back in the front door, pulling their strollers in after. They instinctively bounce to calm the babies hanging in fabric carriers from their chests as they chat with others. They, like you, are sleep-deprived, confused, frustrated or blissful depending on how the day or night before unfolded. They, like you, are trying to navigate that intense first year, which is full of so many challenges and changes. They, like you, seek advice, support and community. That's why they're here. In this blanket-strewn room at a birth center in South Lake Union sit two baby care experts devoted to helping parents figure out what the heck it is they're doing. Meet Happy Babies Parent Education. A drop-in educational support group hosted at Center for Birth on Tuesday mornings, Happy Babies caters to parents, from pregnancy through their child's first 12 months. 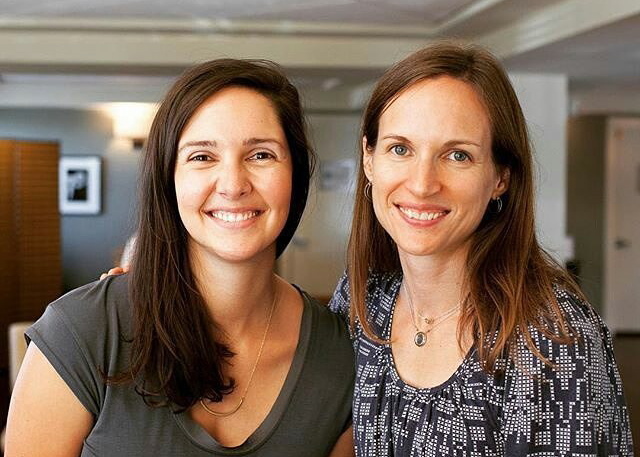 The group is a led by Emma Summer, a birth and postpartum doula and lactation educator, and Amelia McGee, a parent coach and educator with a background in public health. Both women are also mothers and often use their own life experiences when offering perspective and guidance. At a typical Happy Babies group some people greet each other like old friends while others meet for the first time. Infants sleep quietly in their car seats while older babies crawl and play in the middle of the room. Squeals of delight float up like bubbles, interjecting the stream of conversation that ebbs and flows between questions, laughter and, sometimes, tears. It's part classroom, part support group, part pep rally. 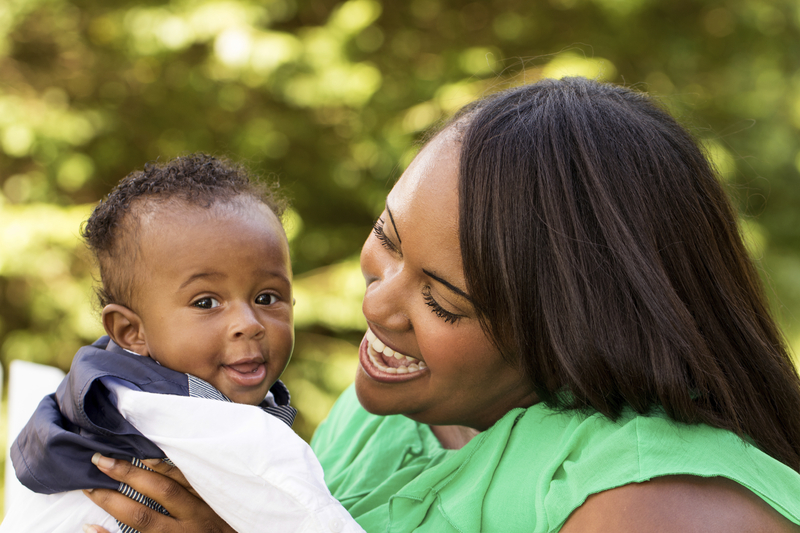 What makes a Happy Baby? McGee sums up the group's mission in three words: “Education, support and community.” Summer chimes in: Happy Babies is accessible. Company sponsorships by local companies like Grand Central Bakery and the Center for Birth help keep participant costs low: $16 for day of or $10 if you register a day ahead of class. Each 90-minute session focuses on topics including bottle- and breast feeding, infant development, self-care and sleep. McGee and Summers lead the group but want the parents to guide the agenda by asking each other questions, describing challenges and offering up ideas and advice. McGee and Summer prefer to think of themselves as advisors rather than group leaders. “We see ourselves as curators of information," says Summer. Over the last few years, she explains, fewer people turn solely to the internet for parenting advice. “It’s too overwhelming,” she says. Happy Babies showed me that some of the craziest parts of motherhood are also the most common. The group made me feel like I had some people in the trenches with me. That's helpful, particularly when turning to the other likely parenting expert in your life — your pediatrician — isn't an easy option. “People expect their pediatrician to help with parenting choices more than they are qualified or have time to do," says Summer. She and McGee help fill the void and often, so do the people at a Happy Baby group. “That’s a gap that your peers can help fill, too,” says Summer. At a meeting, parents with older kids often jump in with advice or assurance that whatever phase their fellow parent is facing will pass. When: Tuesdays, 10:30 a.m. to 12 p.m.
That kind of reassurance is hard to come by in a parenting culture that McGee says often second-guesses itself. “There is a culture of perfectionism about parenting in Seattle,” she says. She and Summer want to break that down by helping parents understand that there is no perfect way to raise a baby and that if what you are doing is working for you, you should trust that. “We want parents to reclaim as much joy as they can about being with their children," says Summer. “We try to answer questions from that viewpoint.” Children are very resilient, she adds, and you’re not going to ruin them as easily as you think. As a recent week’s group concludes, McGee and Summer encourage the parents to take a moment to enjoy each other’s company. Play dates are made. Babies are fawned over. Names — not just the children's — are exchanged. These connections and collective wisdom nurture and sustain happy parents. And happy parents tend to bring up happy babies. Stephanie Olson is a mother of two boys who lives and writes in Seattle. She believes her golden rule in parenting, “Just wipe it off on your pants!” will be her epitaph someday. It has gotten us through pretty well thus far. Read more of Stephanie's work on her blog, Ma Swell Vie.